The sale of the new Thunder Purple Edition of OnePlus 6T has begun in India from today. The new Thunder Purple Edition comes in just 8 GB of RAM and 128 GB of storage. 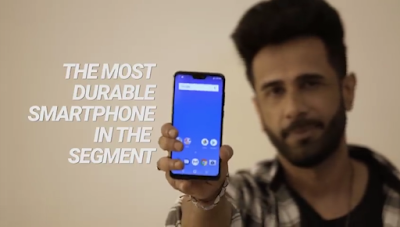 This phone is exclusively available in Amazon India. OnePlus launched this new Thunder Purple Edition of its OnePlus 6T in India this week. New edition of OnePlus 6T will be available for sale from Friday. Please note that OnePlus 6T Thunder Purple Edition comes only in 8 GB RAM and 128 GB storage variant. The flagship handset of OnePlus in India will now be available in total Midnight Black, Mirror Black, and Thunder Purple Color. OnePlus 6T Thunder Purple Edition 8 GB Ram / 128 GB storage variant is priced at Rs. 41,999. The sale of the new Thunder Purple Edition variant will begin at 2 pm from Amazon India. It is worth noting that 6GB RAM / 64 GB storage variant and 8 GB RAM / 256 GB storage variants are respectively Rs. 37,999 and Rs. 45,999 respectively. Apart from this, new Thunder Purple Edition chroma, Reliance Digital and Exclusive OnePlus will also be available on offline retail stores. Talk to OFFERS If you pay through HDFC Bank Credit and Debit Card, you will get a cashback of Rs 1,500. Under the partnership of Reliance jio and OnePlus, a special offer will be available for buying phones. Customers can get Instant Cashback, Vouchers for Rs 5,400 on jio.com, Reliance Digital Stores, Myjio store, jio Retailers and Myjio App, for pre-paid recharge of Rs 299. There is also no-cost EMI offer for 3 months on Amjon India and OnePlus Exclusive offline stores. Free Damage Protection Plans are being offered for 12 months on behalf of Quarter Servicing. Apart from this, Amjon India will get a discount of 500 rupees on Amazon Kindle. 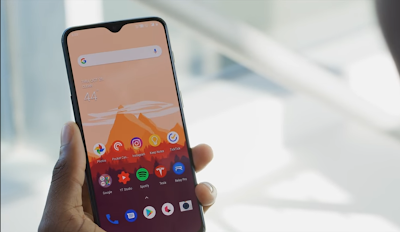 OnePlus 6T has 6.41 inch Full HD + (1080 × 2340 pixels) optical AMOLED display, which has an aspect ratio of 19.5: 9. Corning Gorilla Glass is 6 for safety. Smartphone has Qualcomm Octa-Core Snapdragon 845 processor that runs at 2.8 GHz. Adreno 630 is GPU for graphics. The phone runs on Android 9.0 based Oxygen OS 9.0. To power the phone, there is a 3700mAh battery that comes with dash charging. There is also no-cost EMI offer for 3 months on Amjon India and OnePlus Exclusive offline stores. Free Damage Protection Plans are being offered for 12 months on behalf of Quarter Servicing. Apart from this, Amazon India will get a discount of 500 rupees on Amazon Kindle. OnePlus 6T has 6.41 inch Full HD + (1080 × 2340 pixels) optical AMOLED display, which has an aspect ratio of 19.5: 9. Corning Gorilla Glass is 6 for safety. The smartphone has Qualcomm Octa-Core Snapdragon 845 processor that runs at 2.8 GHz. Adreno 630 is GPU for graphics. The phone runs on Android 9.0 based Oxygen OS 9.0. To power the phone, there is a 3700mAh battery that comes with dash charging.